July 23, 2015 -- Consumers have become deeply distrustful of their food. There’s Samantha Adams, who had her “aha moment” when she happened to read the label of the barbecue sauce she was feeding her 1-year-old. Adams started scrutinizing food labels. She deeply researched each food ingredient she’d never heard of, began shopping more carefully, and started cooking more meals at home. She even started writing articles about food for her local paper, the Asbury Park Press. “My new motto is count chemicals, not calories,” she says. “It boils down to one thing: Consumers don’t trust companies anymore,” says Lynn Dornblaser, director of Innovation and Insight for the market research firm Mintel. Mintel recently surveyed grocery shoppers. Only 38% said they trust what companies say about their products on food labels. “That’s 62% who don’t,” she says. Food companies have noticed. The latest strategy to win back wary shoppers can be summed up in one word: simple. Pillsbury has a new line of Purely Simple baking mixes. Kroger has a Simple Truth line of store brand foods. Keebler has Simply Made cookies. Names of things that sound like they’d be used by chemists, rather than home cooks, are being whisked off the ingredient labels of processed foods -- which now account for 70% of the American diet. Ingredient lists are being made as short, easy to pronounce, and understand as possible. In the food industry, this is called “clean labeling.” And big companies are racing to do it. In recent weeks, Kraft said it would take artificial colors and preservatives out of its iconic mac & cheese. Nestle is chucking artificial colors and flavors out of its chocolates. General Mills will purge artificial colors and flavors from its cereals. In some cases, industry experts say companies are genuinely trying to make more wholesome products. But in others, they say these clean-label ingredient swaps are more about marketing food than really making it healthier. And there are some signs that the rush to make highly processed foods seem pure and basic may be causing problems for vulnerable consumers, like people with food allergies. “The ingredients listed become a marketing tool, which I don’t think they are intended to be,” says Tom Neltner, chemicals policy director at the Environmental Defense Fund. How did we get here? It starts with four letters: GRAS. The FDA has long used the designation “generally recognized as safe” as a way to quickly exempt common and widely used food additives, like vinegar, from rigorous and sometimes lengthy formal safety reviews, which were required of new ingredients or old ingredients that were used in new ways. And until the late 1990s, the GRAS designation was mostly used for tried-and-true ingredients like vinegar that had long been in the food supply. But in 1997, amidst budget cuts and industry grumbling that the FDA was taking too long to approve new ingredients, the agency proposed a new system. It now allows food companies to review their own new ingredients and decide what’s safe. They can submit those reviews to the FDA for acceptance, but it's not required by law. Food manufacturers embraced the changes, speeding new ingredients into food with little oversight. How big is the problem? In February 2013, the Pew Charitable Trusts published an in-depth report about gaps in food safety. They estimated that out of 10,000 ingredients in processed foods, the FDA has not reviewed the safety of about 3,000. Roughly 2,000 of those are flavors that were deemed safe by an industry association. The FDA monitors those decisions, but does not extensively review them. Another 1,000 additives have been called safe by food companies and used without any notice to the FDA at all. “It’s become a very loose system where companies can put kind of anything they want, practically, into the food supply,” says Michael Jacobson, PhD, executive director of the nonprofit Center for Science in the Public Interest (CSPI). That’s what happened with an ingredient called high-fructose corn syrup-90. Dave Busken is a technical baker for a company called Oak State Products in Wenona, IL. They make baked goods like cookies for big food manufacturers. Companies come to him when they want to clean up their food labels. He says there’s one switch that’s become pretty common in processed cereals and baked goods. High-fructose corn syrup is a sweetener that is combination of two simple sugars, glucose and fructose, and it has those sugars in about the same ratio that’s found in ordinary table sugar. Fructose is also found in fruit, but not in such a concentrated and simplified form as found in high-fructose corn syrup. The sweetener ran into trouble when researchers began to question whether it was a good idea to be eating so much of it in processed foods and drinks. Experts disagree, though, on whether high-fructose corn syrup is any unhealthier than regular sugar. Some scientific evidence suggests that calories from fructose are more easily stored as fat than glucose. And fructose may also raise levels of harmful blood fats more than glucose does. The fear is that eating too much fructose may set the body on a path to obesity, insulin resistance, and diabetes. The “cleaner” sounding ingredient “fructose” actually has far more of that sugar than the unpopular sweetener it’s replacing: It’s 90% fructose compared to the 43% to 55% that’s legally allowed in high-fructose corn syrup, according to the Corn Refiners Association. “Boy, is that misleading,” says Kimber Stanhope, PhD, who has done some of the studies on fructose. She’s an associate researcher of molecular bioscience as the University of California at Davis. And it’s in foods today even though the FDA in 1996 specifically declined to recognize the higher formulation, HCFS-90, as safe. That was in part because it contains so much more fructose than glucose. “Additional data on the effects of fructose consumption that is not balanced with glucose consumption would be needed to ensure that this product is safe,” says the FDA action, which is signed by William K. Hubbard, who was then the associate commissioner for policy coordination. Despite this action, food manufacturers are able to use HFCS-90 in their products. According to the FDA, a food manufacturer has on its own declared the ingredient as safe, without providing its research to the agency. That’s legal. “The law does not require that the FDA review independent GRAS determinations,” says Lauren Sucher, an FDA spokesperson, in an email to WebMD. In these cases, it’s also up to the food company to decide how to list the ingredient on labels. Melissa Grzybowski, a U.S. regulatory and nutrition specialist for the Food Consulting Company, says this gives companies “wiggle room” on the wording of their food labels. “It’s always about marketing with food companies,” Grzybowski says. The Grocery Manufacturers Association did not address whether clean labeling is often more about marketing than making better food. “We don’t have much to offer on this point,” says Brian Kennedy, a GMA spokesman. 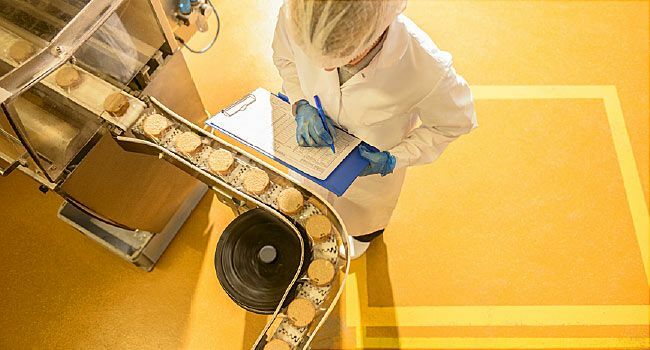 In February, CSPI and three other consumer advocacy organizations called on the FDA to overhaul the GRAS system, saying it violates the 1958 law that requires the FDA to determine ingredients are safe before they are added to the food we eat. We asked the FDA if they believe the GRAS process is working as well as it should. “The agency is concerned that some companies may be making independent GRAS determinations for substances that are not in fact GRAS,” says Megan McSeveney, an FDA press officer, in an email to WebMD. “We continue to encourage companies to notify us about food ingredients they have independently determined as GRAS so that we have the opportunity to discuss with them any questions we may have about the basis for these determinations,” she says. She also says the agency was working to finalize a regulation on the voluntary GRAS program by August 31, 2016. But consumer groups say that keeping the safety process voluntary doesn’t adequately protect the public. Jacobson points out that the FDA just took action on partially hydrogenated oils, or trans fats, formally revoking their GRAS status a full 10 years after they were required to be listed on food labels. Now that partially hydrogenated oils are on their way out of foods, companies are scrambling to find clean-label replacements. Some experts believe the kinds of fats food makers are switching to may not be any better for us. The problem with trans fats is that they raise levels of bad cholesterol in the blood more than other kinds of fats. They also seem to lower levels of good cholesterol. Take palm oil. It’s become one of the leading replacements for partially hydrogenated fats. The latest numbers from the USDA show Americans ate roughly five times more palm oil in 2014 than we did in 2001 -- some 2.6 billion pounds. But at 51% saturated fat, palm oil has more of these heart-clogging fats than lard, which is 43% saturated fat. While some studies, mostly sponsored by the Malaysian Palm Oil Board, show that the saturated fat in palm oils isn’t as harmful as saturated fats from other sources, other carefully controlled studies have raised red flags. A 2006 study sponsored by the USDA found that partially hydrogenated oil and palm oil raised both total cholesterol and LDL, or “bad” cholesterol, to about the same degree, leading the study authors to conclude that swapping palm for partially hydrogenated oils wouldn’t be a safe switch. Another type of fat making its way into processed food is interesterified fat, which, like partially hydrogenated fat, isn't found in nature. K.C. Hayes, PhD, a researcher at Brandeis University, studies interesterified fats. Hayes thinks they may prove to be as bad as trans fats. “I don’t think we know nearly enough about the fats we’re actually consuming,” says Sarah Berry, a researcher who studies interesterified fats at King's College in London. What’s more, she says, you couldn’t necessarily avoid them just by looking at food labels. “The label might say something like soybean oil and fully hydrogenated soybean oil. You would not know” that it’s been interesterified, she says. Uncured Meat -- All Bologna? Another popular clean-label switch is to remove nitrates, or nitrite preservatives, from processed meats like bacon, hot dogs, and cold cuts. Several studies have shown that people who eat a lot of processed meats have higher risks for heart disease and cancer. Some researchers think nitrates, which are used to keep meat pink and fresh-looking, combine with chemicals in the meat to form nitrosamines, which are recognized carcinogens. Food writer Michael Ruhlman noticed that packages of processed meats labeled uncured or without nitrates still had a pink color. Ruhlman started poring over the ingredient labels of uncured meats, and they all had something in common: celery extract. Celery is loaded with nitrates. But as long as a meat doesn’t contain sodium nitrite, the chemical form of the preservative, the USDA allows manufacturers to call their products uncured. “It’s a marketing ploy, pure and simple,” Ruhlman says. And it doesn’t mean the meats have less nitrite in them, according to Jimmy Keeton, a researcher at Texas A&M University in College Station. He tested 470 different meat products. Some were labeled as uncured organic, or natural, while others were conventionally cured. There were no significant differences in the nitrite concentrations between the products. “I like people to understand and think clearly about food, and here, no one is thinking clearly about food. They’re just buying what the marketers are selling them,” he says. He says he hopes big food companies will just make better products. Samantha Adams, mother and food activist, Jackson, N.J.
Lynn Dornblaser, director of Innovation and Insight, Mintel. Brian Kennedy, Spokesperson, Grocery Manufacturers Association. Michael Jacobson, PhD, executive director, Center for Science in the Public Interest, Washington, D.C.
Kimber Stanhope, PhD, associate researcher of molecular bioscience, The University of California at Davis. Lauren Sucher, press officer, FDA, Bethesda, MD. Melissa Grzybowski, U.S. Regulatory & Nutrition Specialist, The Food Consulting Company, Del Mar, CA. K.C. Hayes, PhD, professor emeritus, Brandeis University, Waltham, MA. Sarah Berry, Lecturer in Nutritional Sciences, Kings College, London, U.K.
Megan McSeveney, press officer, FDA. Tom Neltner, J.D., senior advisor, regulatory affairs, National Center for Healthy Housing, Columbia, MD. Jimmy Keeton, Emeritus Professor of Food and Nutrition Science, Texas A&M University, College Station, TX. Dave Busken, technical baker, Oak State Products, Wenona, IL. Center for Science in the Public Interest, “Inadequate Oversight of the Safety of Substances Added to Food: What Went Wrong and How to Fix It,” April 2015. The Pew Charitable Trusts, “Food Additives Project”, 2013. FDA, “Direct Food Substances Affirmed as Generally Recognized as Safe; High Fructose Corn Syrup,” Final Rule, August 23, 1996. Hayes, KC, Journal of the American College of Nutrition, 2010. Video: Can You Prevent Peanut Allergies? From Olive Oil to Honey -- Is It Really 100%?